Received April 13th, 2011; revised May 23rd, 2011; accepted May 31st, 2011. Doppler-echo techniques may be helpful in early diagnosis. Table 1. Characteristics of enrolled women. Height: 160 ± 10 cm. Weight 68 ± 19 kg. chamber view to record diastolic transmitral blood flow. ing velocity, and isovolumic relaxation time (IVRT) . when ≥ 0.45 and as eccentric when ≤ 0.34 .
envelope after calibration for velocity and time [23,24]. mass by an anatomically validated formula [12,15-17]. wall thickness and LVEDD is LV end diastolic diameter. classified as eccentric geometry . cant. Multivariate analysis was performed. terms of age and prevalence of smoking. trophy, while they are asymptomatic for cardiac disease. tric hypertrophy and diastolic dysf unction on ou r popu lation. it occurs a rapid development of severe heart failure. as assessed by LV relative wall thickness and function. 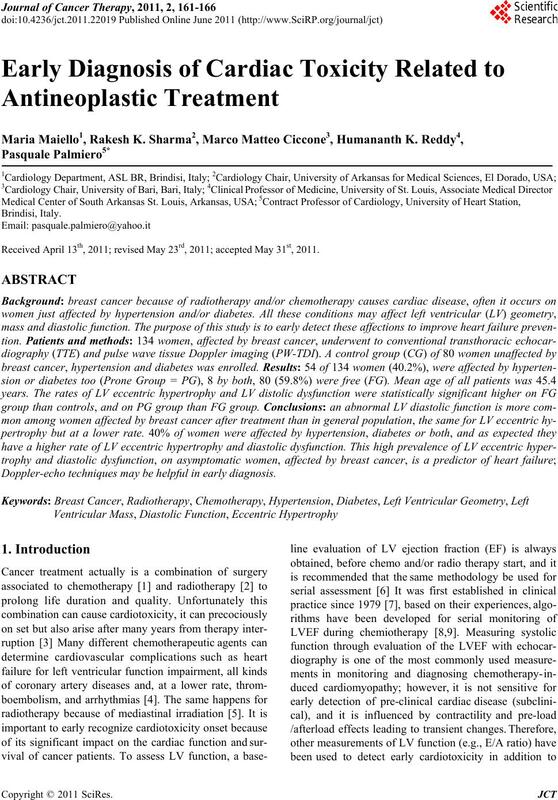 radiotherapy, with preserved LV ejection fraction. patients at high risk for subsequent cardiac events. survey of the clinical data. fects of Radiotherapy and Surgery in Early Breast Cancer. land Journal of Medicine, Vol. 333, No. 22, 1995, pp. of the National Cancer Institute, Vol. 99, No. 5, 2007, pp. ity,” Journal of the American Medical Association, Vol. 303, No. 11, 2010, pp. 1019-1020. Mediastinal Irradiation,” American Heart Journal, Vol. 150, No. 5, 2005, pp. 977-982. Cancer Using Various Detection Techniques,” Heart, Vol. 88, No. 1, 2002, pp. 81-82.
diography,” The New England Journal of Medicine, Vol. 300, No. 6, 1979, pp. 278-283. Vol. 82, No. 6, 1987, pp. 1109-1118. Vol. 49, No. 11, 2007, pp. 1230-1250. Vol. 285, No. 7, 2001, pp. 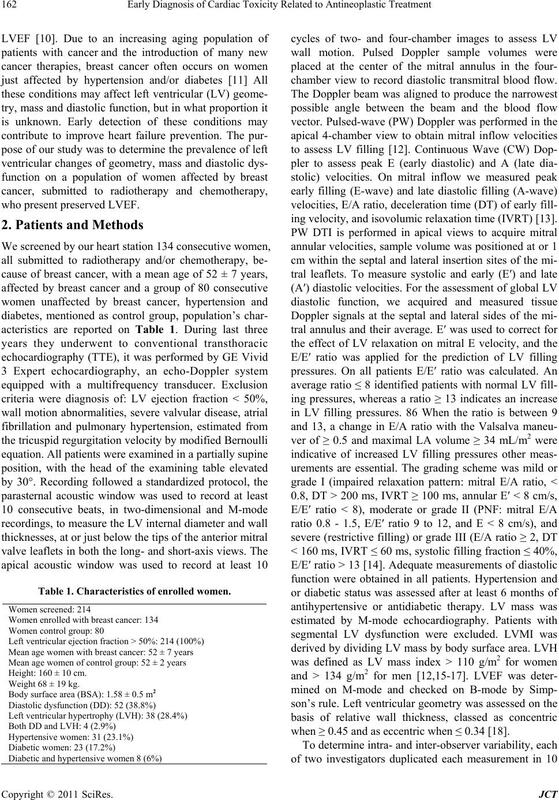 885-892.
nal of the American Society of Echocardiography, Vol. 10, No. 3, 1997, pp. 271-292. 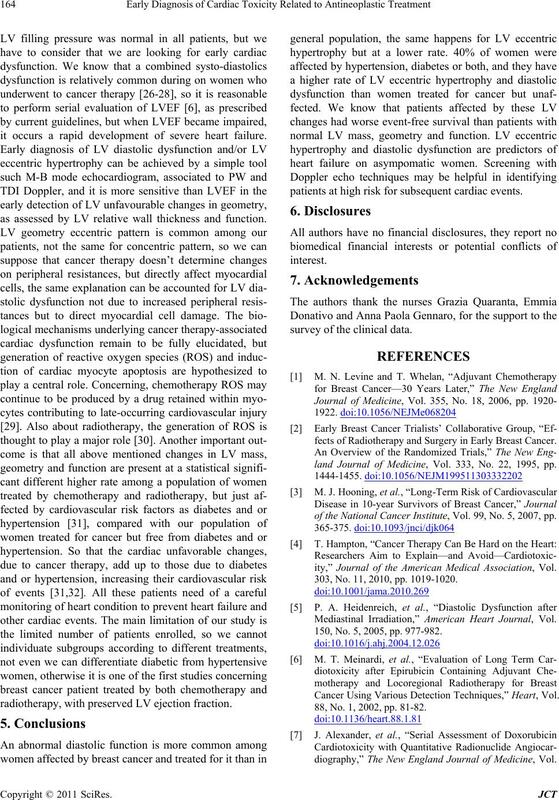 Society of Echocardiography, Vol. 17, No. 5, 2004, pp. ography, Vol. 22, No. 2, 2009, pp. 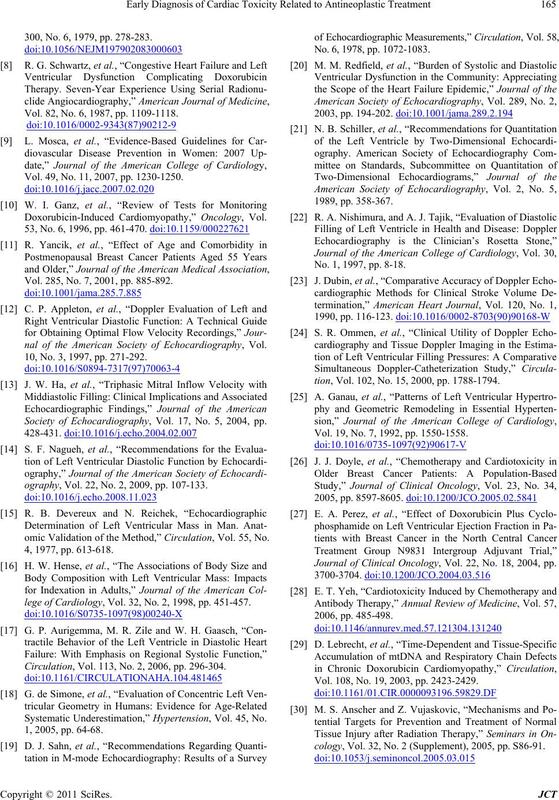 107-133.
omic Validation of the Method,” Circulation, Vol. 55, No. lege of Cardiology, Vol. 32, No. 2, 1998, pp. 451-457. Circulation, Vol. 113, No. 2, 2006, pp. 296-304. 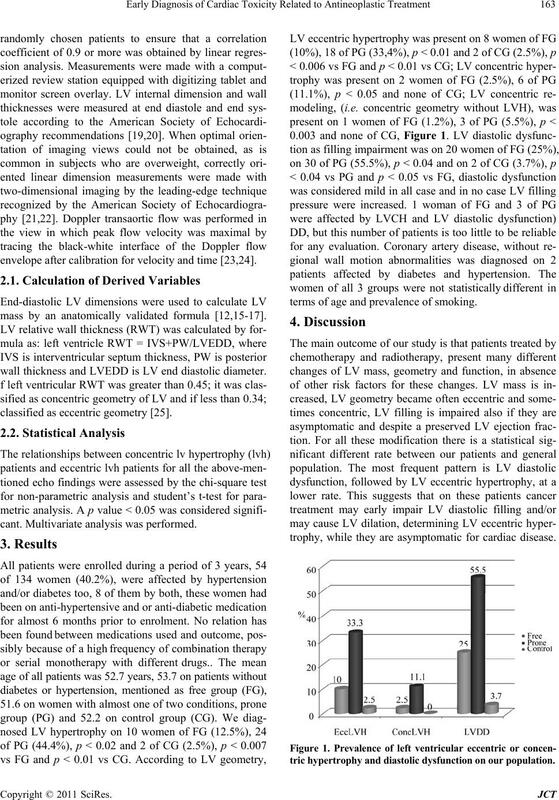 Systematic Underestimation,” Hypertension, Vol. 45, No. No. 6, 1978, pp. 1072-1083. No. 1, 1997, pp. 8-18.
tion, Vol. 102, No. 15, 2000, pp. 1788-1794. Vol. 19, No. 7, 1992, pp. 1550-1558. Journal of Clinical Oncology, Vol. 22, No. 18, 2004, pp. Vol. 108, No. 19, 2003, pp. 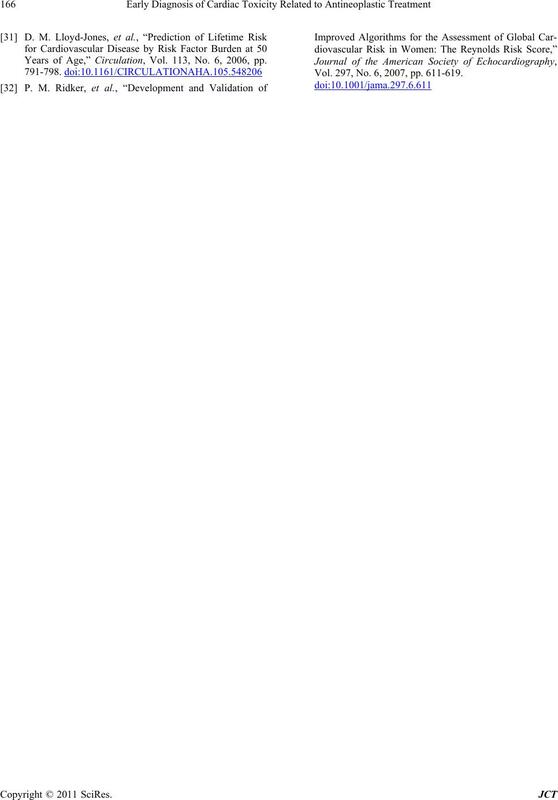 2423-2429.
cology, Vol. 32, No. 2 (Supplement), 2005, pp. S86-91. Years of Age,” Circulation, Vol. 113, No. 6, 2006, pp. Vol. 297, No. 6, 2007, pp. 611-619.